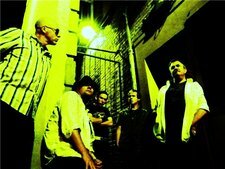 Steel Beach offers an eclectic mix of rock/hard rock/blues/pop with a dash of ska every now and then. Formed during a Naval Deployment in 2008, Steel Beach actually did a world tour before playing a single show in their home town of Victoria. Steel Beach has had some line up changes recently and welcomed Scawt Polachuk to the group as our second guitarist. We are stoked about the direction we are heading and our tribute EP should be out sometime Sept-Oct. An EP that shows where we come from and a hint of where we are heading! For a true Steel Beach experience come see us live!! !